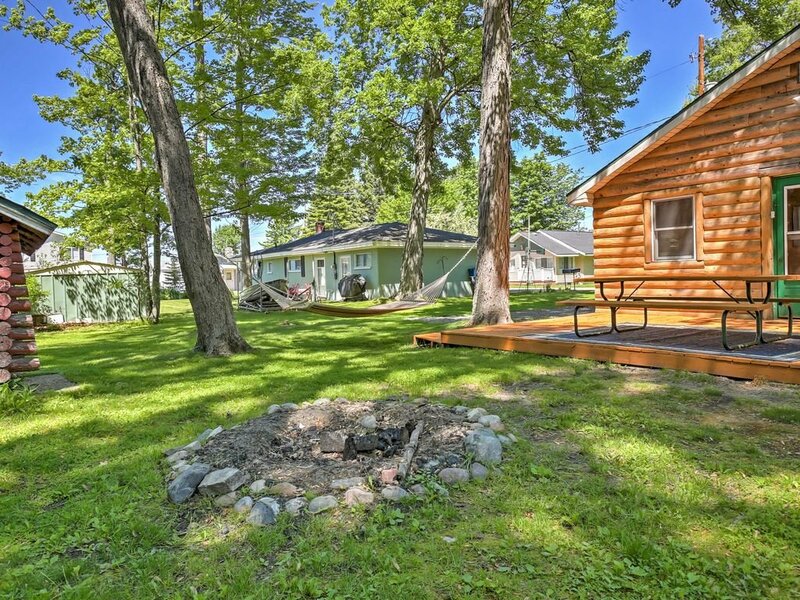 BEECHWOOD CABIN (Houghton Lake): Sleeps 5, 2 Kayaks included, Fire-pit, Swimming with sandbar nearby, Pets welcome! 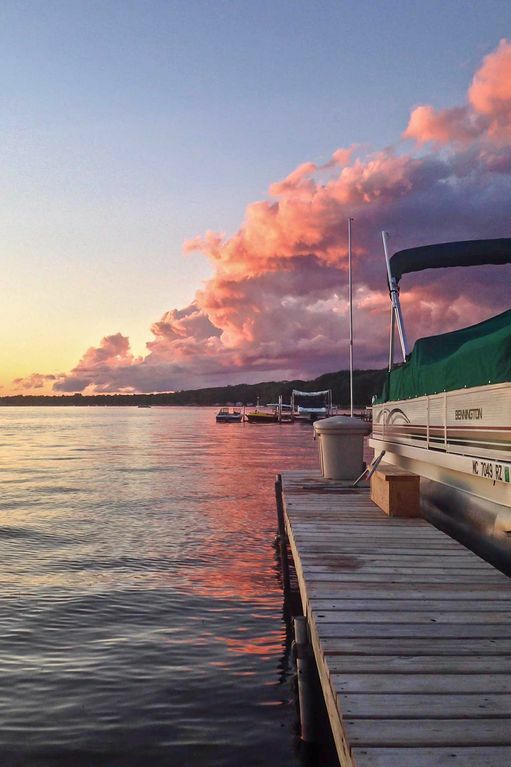 The popular Houghton Lake has been a beloved vacation spot for Michigan families for decades. 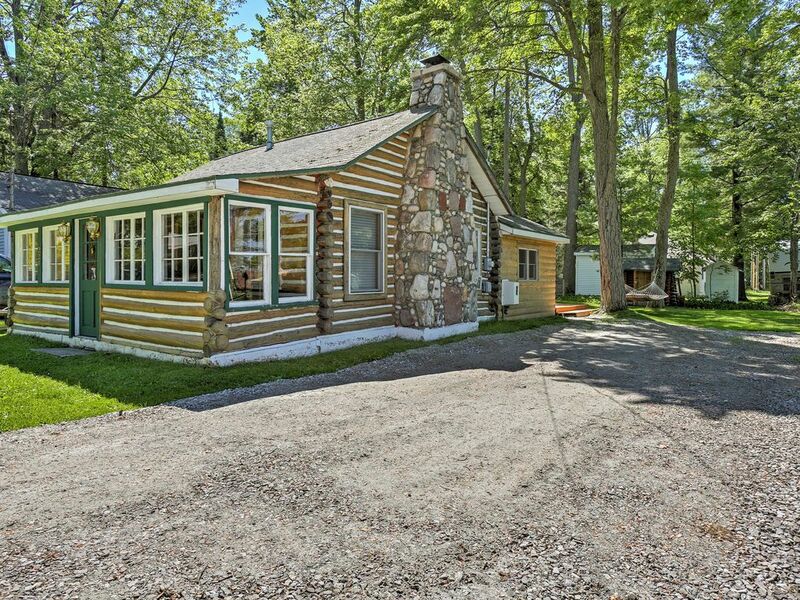 This historic log-cabin, which was once part of the 1940’s and ‘50’s famous Beechwood Resort, combines rustic charm with modern convenience. 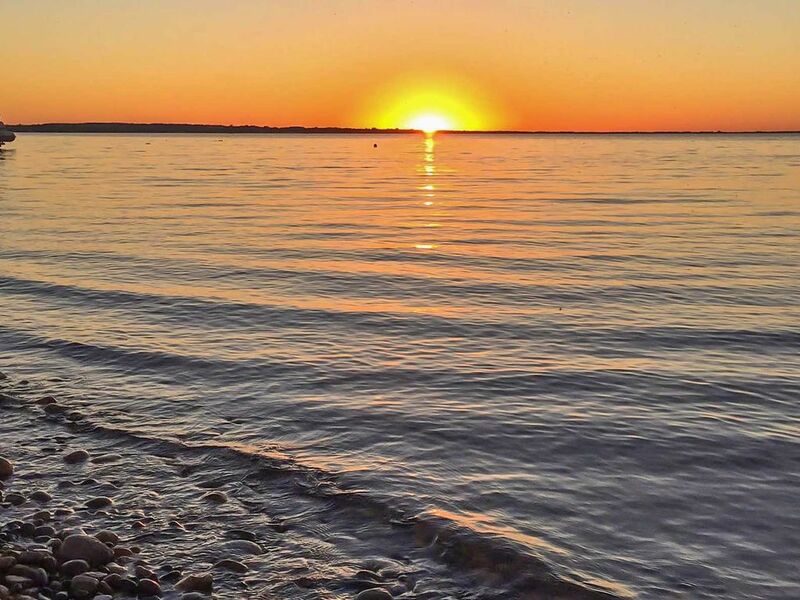 Come dine at the famous Spikehorn Restaurant just a 10-minute walk away or wade in the water on the sandbar close to Beechwood. Roscommon County offers some of the best ORV, snowmobile, hiking, and biking trails in Michigan, so come check them out! SUMMER GUESTS: With great swimming just 50 yards away, you will enjoy the gorgeous sandbar, and community dock at the end of the road. In addition, a wonderful family park, within walking distance (quarter mile), allows you to enjoy the kids as they play on the playground, tennis courts, and basketball courts. 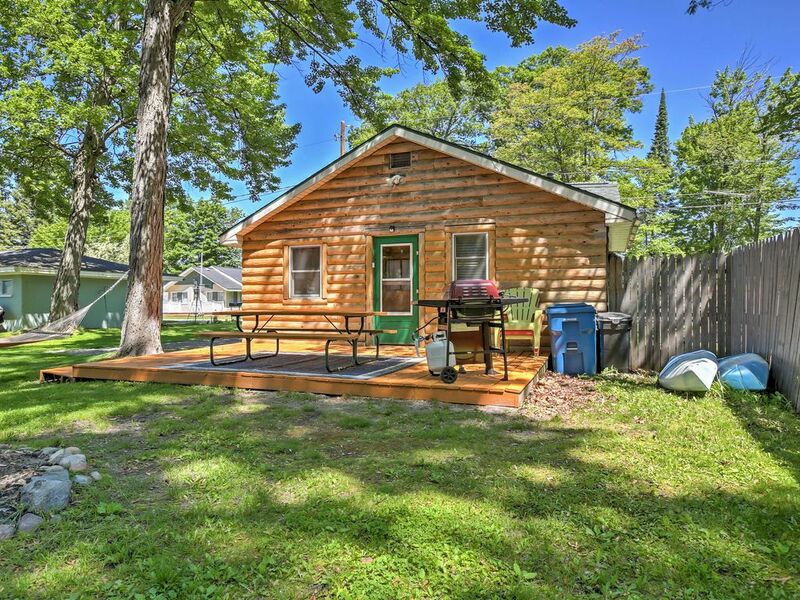 This 2 bedroom, one bathroom cabin comes equipped with a fully-stocked kitchen, picnic table, fire-pit, enclosed porch area, hammock, fireplace, tv’s, and propane grill. Enjoy the two kayaks that are included in your stay. Travel up the lake, into the river, for great fishing! WINTER WARRIORS: No better place to be in the winter than gunning-up your snowmobile on frozen Houghton Lake. 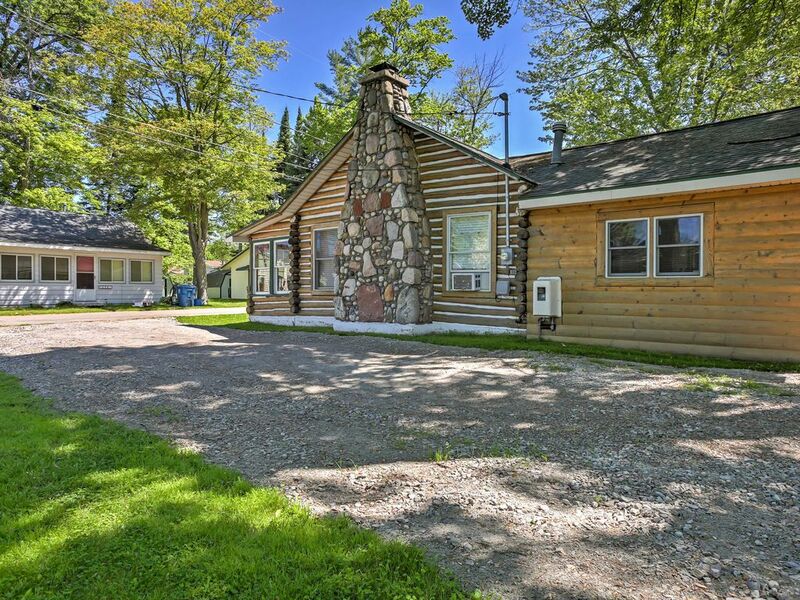 Take your snowmobiles for a spin on the lake or ride on nearby trails; just jump on from the front porch! Great spot to enjoy TIP UP TOWN every year, near the middle of January. 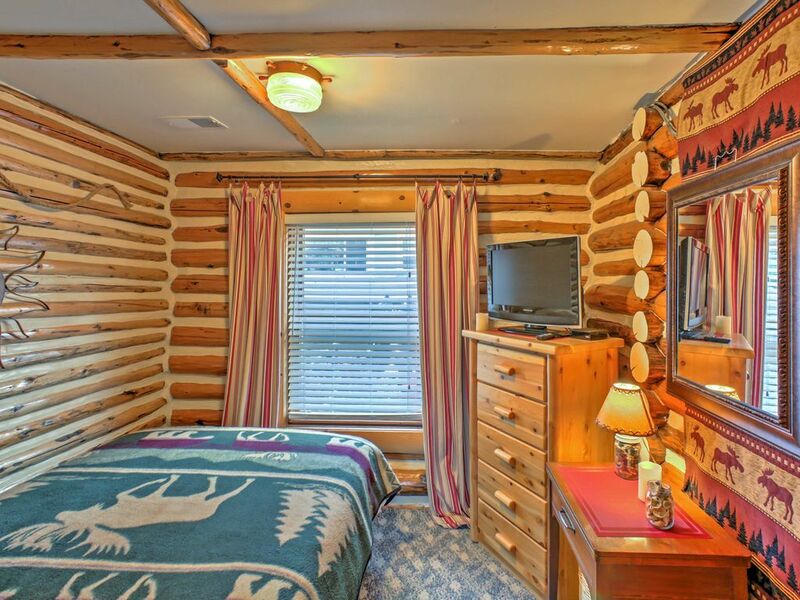 Or, if you are more of a romantic, this cabin is perfect for a winter getaway with your loved one. Air Conditioning: 2 window air conditioners plus ceiling and portable fans throughout the cabin. Boats: 2 kayaks come with your stay. The light-weight water vessels can be placed in the water just 50 yards away. A Public DNR Boat Launch is about a mile away from cabin. You are able to pull your boat in and out daily. Unfortunately, there is not a place to dock your boat by the cabin. Bugs: The typical mosquitos, flies, ants. Cable/Satellite TVs: 2 total (living room and bedroom) both equipped with Roku and Direct TV NOW APP-which allows you to watch live. If you don’t have any “streaming accounts” just let us know and you can borrow ours! There is also a DVD player with small collection of family-friendly dvd’s as well. Cell phone service: Verizon is Great, AT&T is sketchy. The strong wi-fi in the cabin will help you make calls over wi-fi. Dock: People can walk out onto it, swim off of it. No loitering though on the dock. Fishing: Feel free to jump in the kayaks and paddle down the river for great fishing. You could fish off of the shoreline, but be sure to stay on public property. In addition, there is no fishing from the community dock. Fishing poles: Please bring your own. Grill: Propane grill and propane is provided. Grocery Store: Convenient store approximately ¼ mile up the road. Five to six miles away is a Walmart. Handicap Friendly: Step up on to the deck to get into cabin. Walkers are a go, wheelchairs are a no! Internet: Free Wi-Fi for guests to enjoy! Parking: 2 cars can easily park on the crushed limestone driveway. In addition, if the weather is nice (ground is not soaked), there is also a very large side-lot which allows guests to comfortably fit 4 cars, or 2 trail/truck combos. Pets: Pets are welcome! Freshwater Vacation Rentals currently charges $50/per pet for your entire stay. Yes, we do accept dogs, yet we do ask that you please clean up after them both inside and outside the cabin. Plus, if you allow them on the furniture, we do ask that you please bring your own linens/blankets for them to sleep on. Just let us know which bed you will be using with them, and we’ll make sure it is ready for your sheets when you arrive. Plus, if the pet hair starts to build, we do ask that you please run the vacuum. Generally, dogs love the water and places to explore. Pet food does tend to attract mice, so vigilance is needed. Cats and other animals are not welcomed at the home, due to owner allergies. 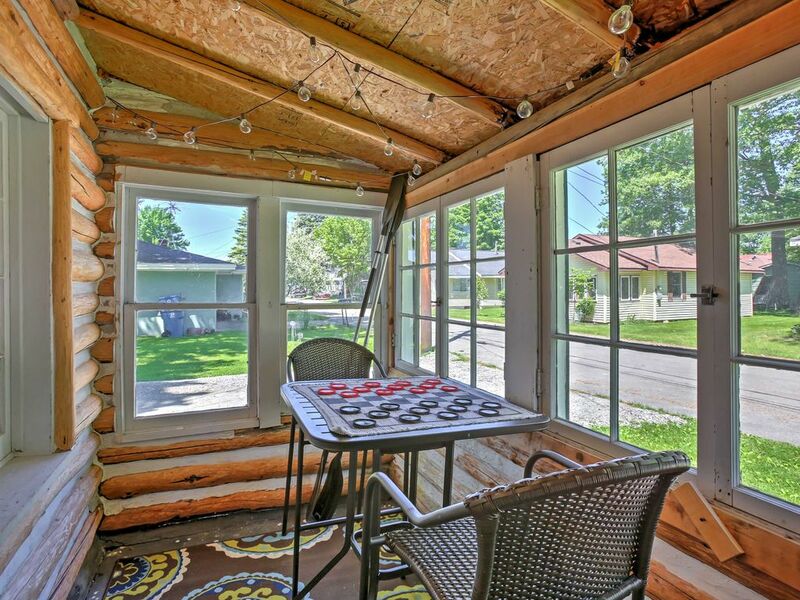 Picnic table: 8 ft. table for you to enjoy on the deck. 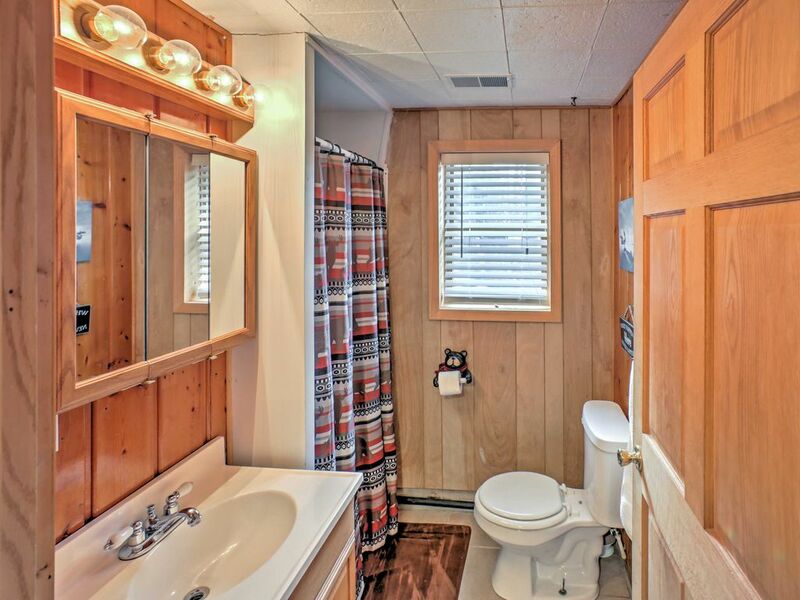 Privacy: There are neighbors and other cabins right next door. Enjoy seeing others enjoy lake-side fun. There are only 2 homes on this particular street. Space: 1 story home, cozy feeling. 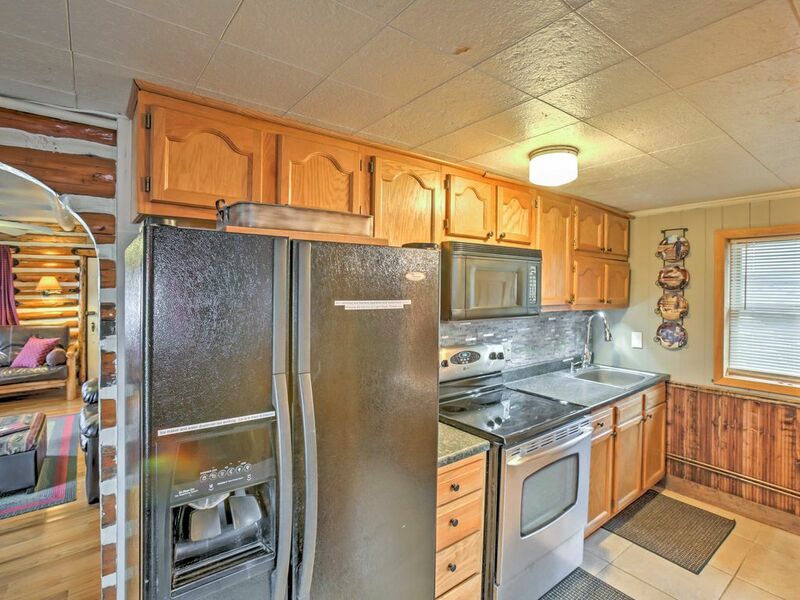 Washer and dryer: None on site. The nearest laundry mat is about 6 miles away by the Walmart. Wood: Guests will need to purchase their own wood (grab some on the way up). There are plenty of side-of-the-road wood-sellers on the ride up to the cabin. 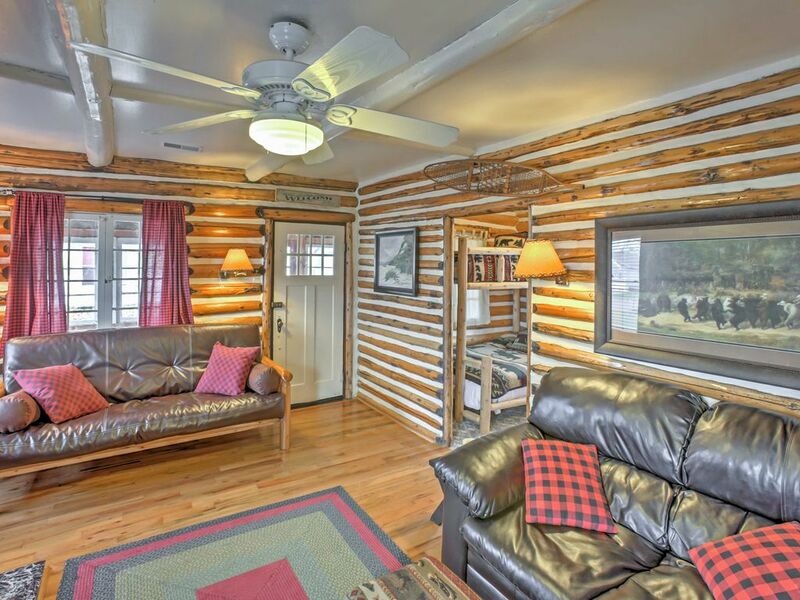 Scott, we are so glad that Beechwood Cabin was exactly what you were hoping for! 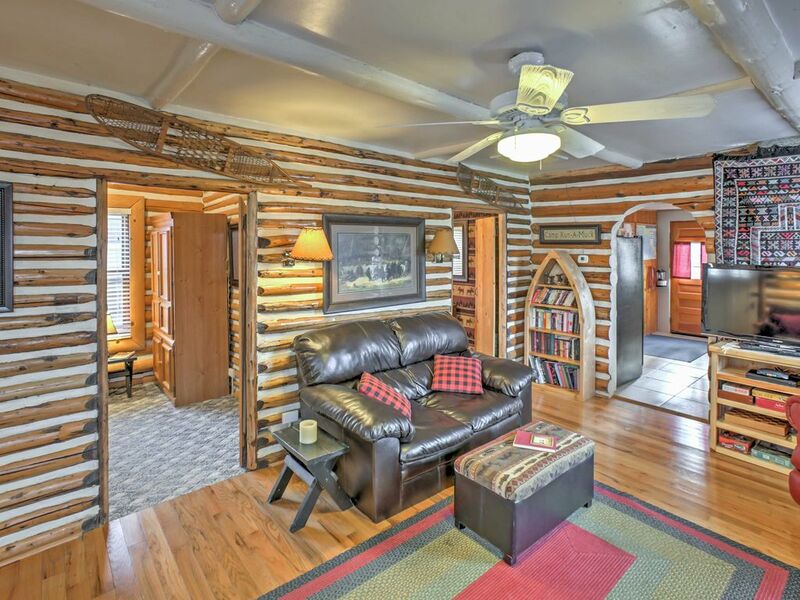 The log cabin, the huge stone fireplace and the enclosed porch make it so very homey. We hope to see you back again soon. We had a great time! All the conveniences of home. 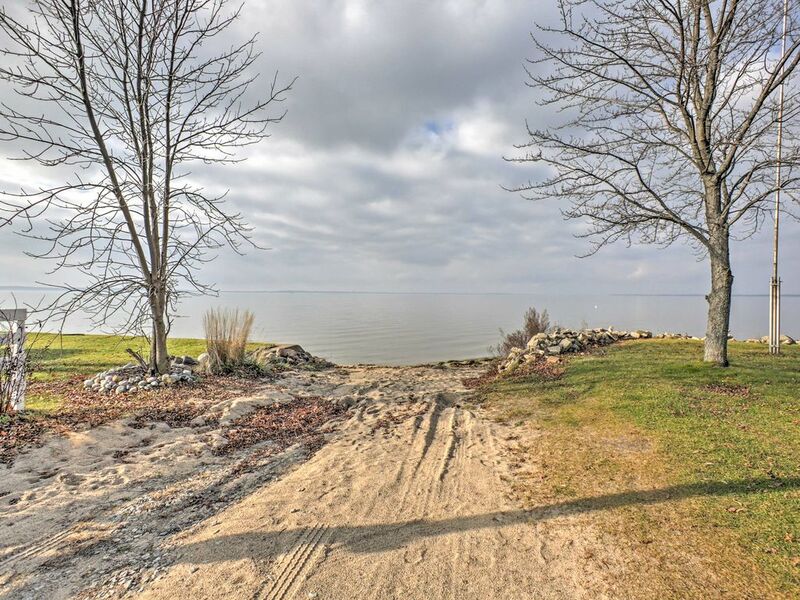 Great location for summer, only 50 yard walk to the lakeshore. 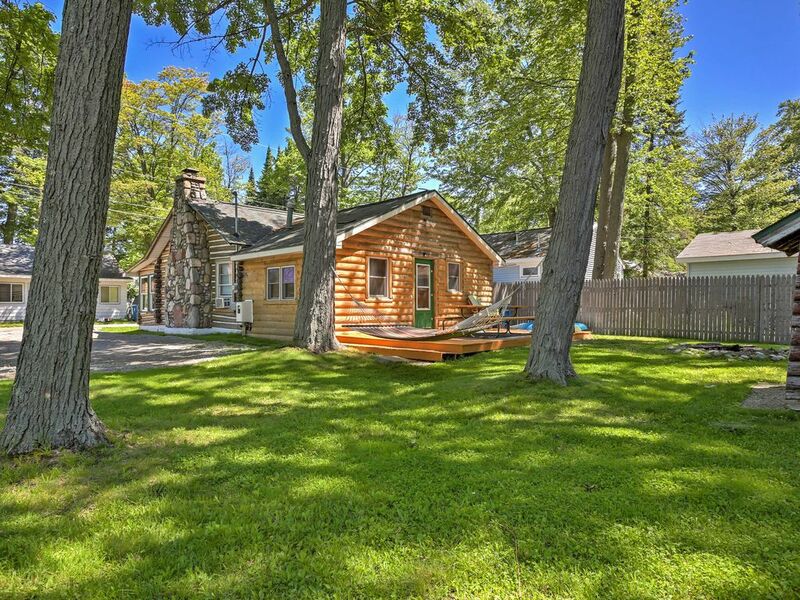 Beechwood Cabin. It is a great property. We hope to work with you again soon. We didn't catch and fish, but we want to come back. 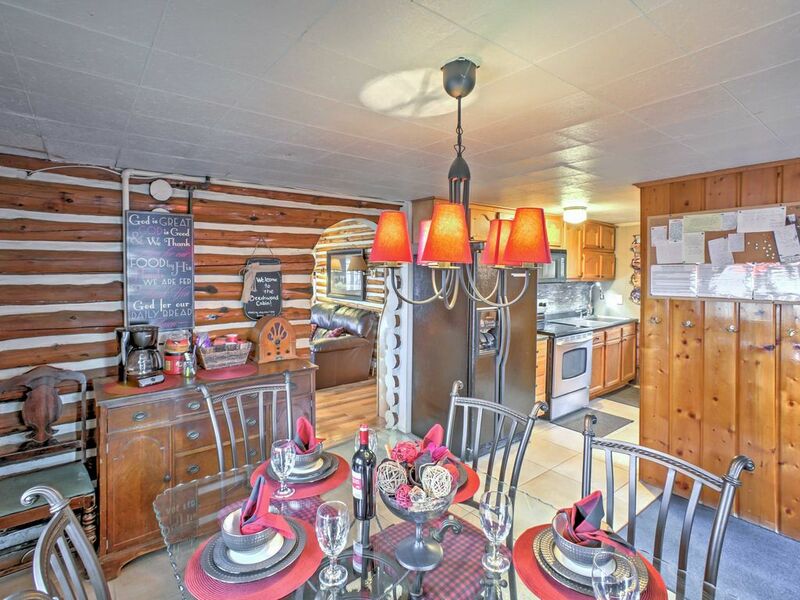 They cabin was exactly what we were looking for. Very close to the lake and extremely cute. We had a great time! 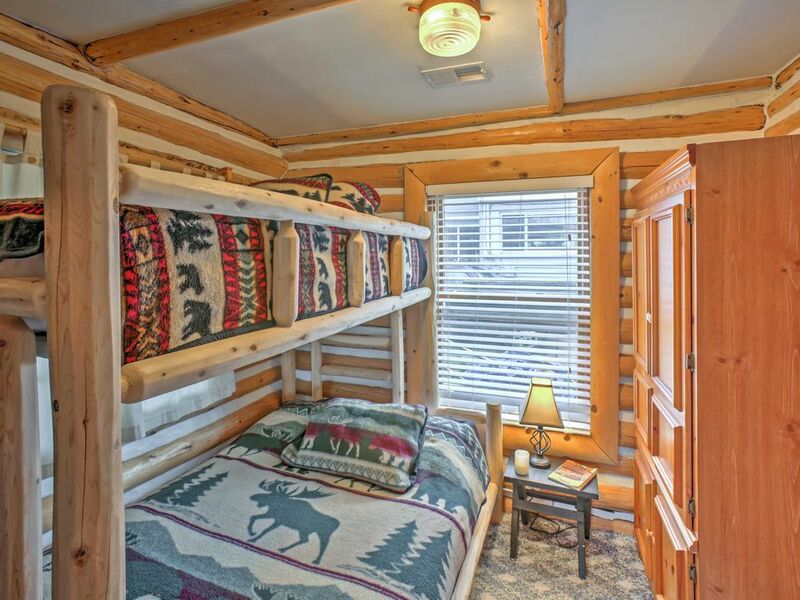 John, we are so happy to hear that Beechwood Cabin fit your needs so perfectly. We love hearing that from our guests. That huge stone fireplace is certainly a welcome addition in the winter months! We look forward to working with you again.